Last year, Deer Valley embarked on a massive trail improvement project enlisting the assistance of Gravity Logic, one of the top mountain bike trail designers in the nation. Gravity Logic provided a five-year plan for improvements, which included the construction of the Tidal Wave trail last summer, plus another trail this summer. Improvements began last season with an update of existing trails, such as Nail Driver, to better suit modern bikes and riders. Several connections were also added to give riders more route options, plus the Mid Mountain Trail was extended in partnership with the Park City Mountain Trail Foundation. Deer Valley Resort's investment of time and money grabbed the attention of the mountain biking community and the resort was named to the Top 5 Best Bike Parks 2015 by the MTBParks.com. New this season is a beginner trail called Holy Roller, which will feature the same flow style as Tidal Wave, but be less technical. Gravity Logic will be onsite for the build. Want to test your grit on a more challenging flow trail? Rumor is you may be in luck! In addition to working on Holy Roller this summer, Gravity Logic is designing a new black trail. Construction of that trail is tentatively set for next season. Altogether, Deer Valley includes nearly 70 miles of trails plus lift access fromSilver Lake Express at the base, Sterling Express at mid-mountain and Ruby Express at Empire Canyon. Multiple connections give riders access to another 400-miles of Park City singletrack. Park City was recently designated the worlds first Gold-Level Ride Center by the IMBA. If youre new to mountain biking or want to amp up your skills, the Deer Valley Mountain Bike School offers group and private lessons to adults and children of all skill levels. Beginners start the day in a skills area to learn the basics before progressing to the trail. Bikes are also available for rent. is a thrill I want again! 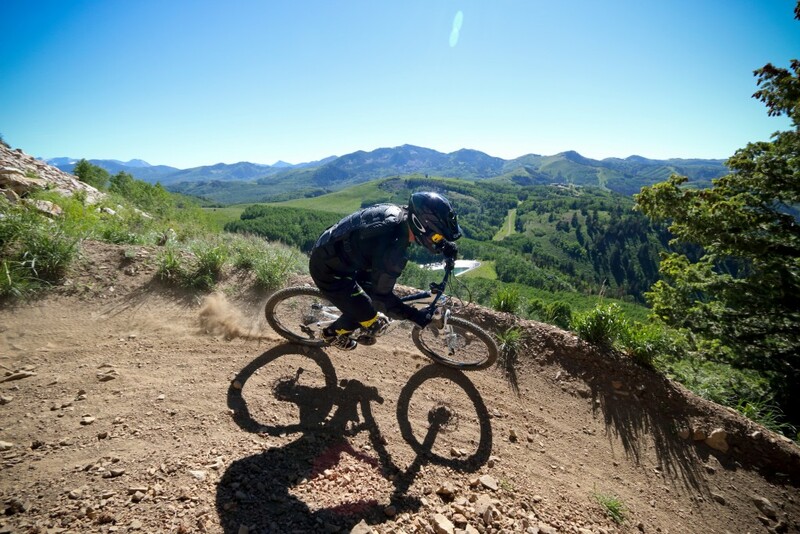 Posted in Uncategorized | 0 Responses to "RHYTHM ON WHEELS: DEER VALLEY BECOMES A DESTINATION FOR MOUNTAIN BIKERS"
There is apparently a new name for Park City's namesake resort: Park City Mountain. In a Park City Mountain Resort release this week, the resort is referred to as 'Park City Mountain.' The release announces that a rebranding will be made public later in July. It would be the first name change at the resort since the 1990s. Colorado-based Vail Resorts acquired PCMR in 2014 and intends to link PCMR and Canyons Resort into a single property this summer. Vail Resorts operates Canyons Resort as part of a long-term agreement with the Talisker corporate family. The release includes a prepared statement from Bill Rock, the chief operating officer at PCMR, that refers to the resort as Park City Mountain. "Unveiling our new brand will mark a historic day for Park City Mountain. The ambitious $50 million capital improvement project to connect Park City and Canyons to create the largest resort in the U.S. is well underway and we are excited to share the new identity of the combined resort with our community," Rock said in the statement. The Park City Mountain Resort moniker has been used since the mid-1990s, when Powdr Corp. acquired the property. It had been called Park City Ski Area before the Powdr Corp. acquisition, and some long-time Parkites occasionally still refer to the resort as the ski area. That name change, made in 1996, was an acknowledgement of the growth of snowboarding and marketers did not want to discourage snowboarders with a name that included the words ski area. Park City Mountain Resort is widely referred to as PCMR.A change to the Park City Mountain name starting in the 2015-2016 ski season would represent a shift in strategy by Vail Resorts. The company in December, as it announced details about the PCMR-Canyons Resort connection, said the single property would be operated under the Park City Mountain Resort moniker during the upcoming ski season. It said what was the base area at Canyons Resort would be called 'Canyons at Park City.' The Vail Resorts statement said it would "continue to maintain the unique history and atmosphere of the two base areas with differentiated marketing for the diverse hotel and hospitality experiences." PCMR said more details will be made public on July 29. The release indicates a community celebration will be held that day. A new logo and a redone trail map will be some of the highlights of the July 29 event. 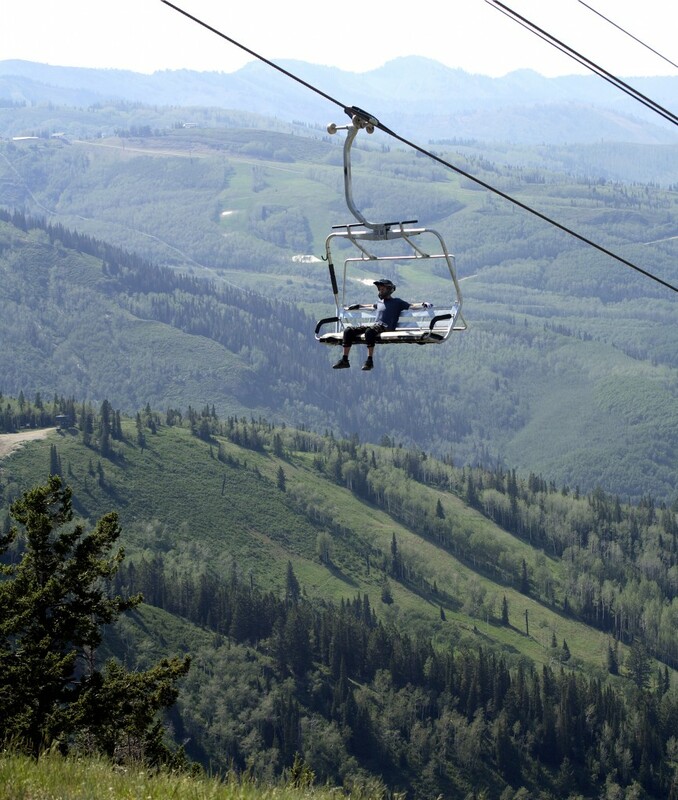 Posted in Uncategorized | 0 Responses to "Vail Resorts readies new name for PCMR"
As the mountains turn from white to green, Deer Valley Resort reopens its doors and lifts to guests looking to experience summer play available day and night on its mountains. From the rush of a mountain bike descent through the trees or an exhilarating hike along a ridge top to lunch served all fresco and open air evening concerts, Deer Valley offers an unparalleled alpine escape. New this season, guests can relish in summer season longer, as Deer Valley has extended its summer operations to include weekends after Labor Day through Sunday, September 20, 2015, conditions permitting. Summer 2015 mountainside activities promise to provide an even higher level of enjoyment as Deer Valley Resort embarks on its largest-ever summer investment to modernize and update its existing mountain biking/hiking trail inventory. Deer Valley Resort enlisted world-renowned bike resort development company, Gravity Logic, to conduct a feasibility analysis of the current mountain bike/hike trail system and provide improvement recommendations. Select recommendations provided by Gravity Logic will occur throughout the 2015 summer season, beginning in June and finishing in mid-August. One of the scheduled improvements includes a two- to three-mile downhill mountain bike intermediate flow trail. This trail will be machine excavated and in-sloped with berms, rollers and jumps. To date, the majority of Deer Valleys trails have been hand-built. The trail will be approximately four feet wide, as opposed to Deer Valleys mostly single track trails, and will lead from the top of Bald Mountain to Silver Lake. In addition to trail work with Gravity Logic, Deer Valley and Mountain Trails Foundation have partnered to create an extension of the Mid-mountain trail. The trail will lead from Silver Lake to the Deer Crest trail, eliminating the climb from Silver Lake to the top of Bald Eagle and circumnavigating Bald Eagle. Summer operations at the resort run seven days a week from June 19 through Labor Day, September 7, 2015, then weekends only through September 20, 2015, weather and conditions permitting. Lift-served mountain biking/hiking and scenic rides are offered from the Silver Lake Express chairlift at Snow Park, the mid-mountain Sterling Express chairlift and the Ruby Express chairlift at Empire Canyon. Summer chairlifts operate from 10 a.m. to 5 p.m. (conditions permitting) and ample parking is available at Snow Park Lodge. The resort website provides detailed information on mountain biking and hiking/scenic ride lift ticket rates, as well as information on bike rentals, clinics and tours. For evening play, Deer Valley Resort brings in an exciting lineup of celebrated singers/songwriters/musicians to entertain guests at open-air, mountainside concerts. 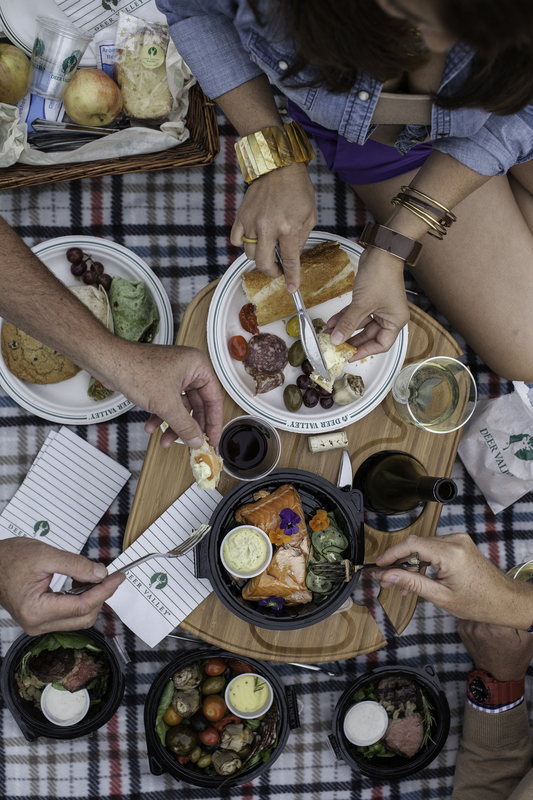 To compliment any evening concert, Deer Valley features Gourmet Picnic Baskets or Bags filled with delicious epicurean items from Deer Valleys kitchens, with options for childrens single bags, gluten-free, vegan and vegetarian meals. The summer calendar of events features a complete line-up of outdoor concerts at the Snow Park Outdoor Amphitheater and mountain bike races. Beyond the resort, the Park City surrounding area provides a wide variety of activities, such as golf, river tubing and rafting, boating, horseback riding, ATV adventures, shopping, dining, theaters and historical museums and tours. 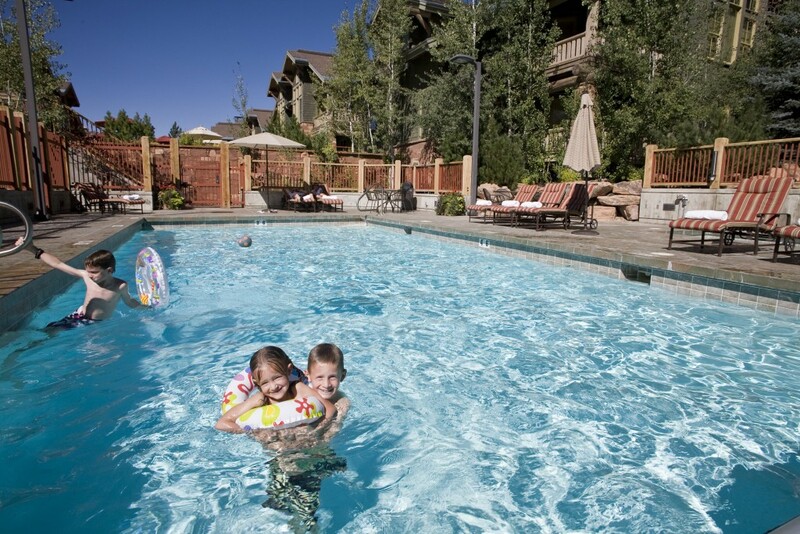 With Deer Valley Resort Lodging and Reservations serving not only as property manager but also as the booking agency, guests have access to the largest selection of accommodations with the best service and availability, in the Deer Valley area. Deer Valleys expert Vacation Planners are available to help guests book and plan outings and adventures tailored to their individual needs. When the fun and excitement of summertime activities leave the body famished, Deer Valley now offers four delicious options for refueling. For Deer Valley guests and visitors looking to grab a quick bite or more, the new Silver Lake Snack Shack will now be open daily during the summer season. Located in the Silver Lake Ski Corral at mid-mountain, the shack offers wrap sandwiches, picnic snacks, beverages, beer, desserts and ice cream sandwiches. The shack is open daily from 10 a.m. to 5 p.m., June 19 through September 7, 2015, then September 12, 13, 19 and 20, 2015. Royal Street Café offers a casual atmosphere with scenic deck dining and creative American and international cuisine the entire family can enjoy. Royal Street Café serves creative appetizers, salads and specialties such as a fresh Dungeness crab tower with avocado and sauces of wasabi, ginger-soy and sweet chili, tuna tartare with wild arugula, truffle oil and lemon salad and of course, the famed maple bacon, barbeque bison burger. Youll also find an equally exciting childrens menu, fine wines, beer and refreshing cocktails. 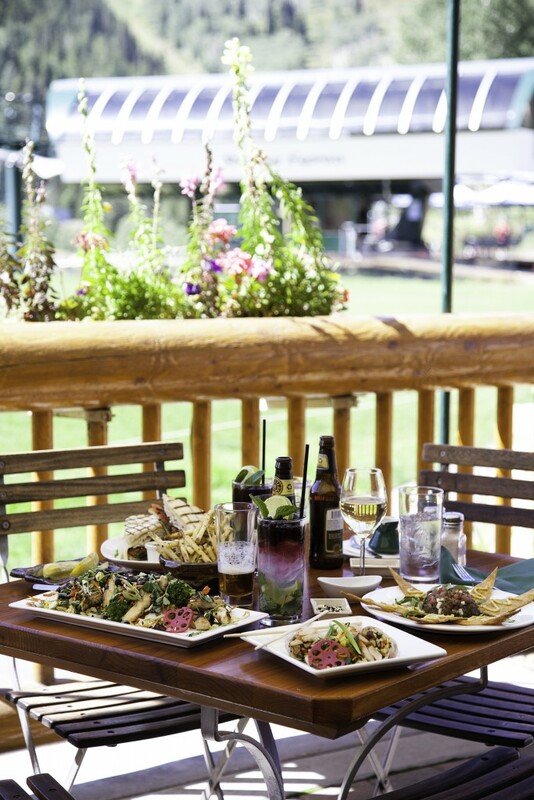 Open for lunch daily June 19, through Labor Day, September 7, 2015, 11:30 a.m. to 2:30 p.m. Royal Street Café is located mid-mountain at Silver Lake Lodge adjacent to Deer Valleys Silver Lake Express chairlift. Enjoy the view and mountain air while dining lakeside on the outdoor deck at Deer Valley Grocery~Café serving fresh roasted coffee and espresso drinks, salads made with local seasonal ingredients, panini sandwiches, creative appetizer and entrée specials, freshly baked breads, desserts, cakes and other items. A selection of gourmet grocery items, house prepared take-away entrées as well as wine, beer, liquor and seasonal cocktails are available for purchase. Deer Valley Grocery~Café, located in the Deer Valley Plaza building in the Snow Park area, is open daily 7:30 a.m. to 7 p.m. (With extended evening hours until 8:30 p.m. June 19, through Labor Day, September 7, 2015.) Please call 435-615-2400 for to-go orders. The Brass Tag restaurant, located in the Lodges at Deer Valley, is open daily from 4 to 9 p.m. and serves their full dinner menu from 5:30 to 9 p.m. 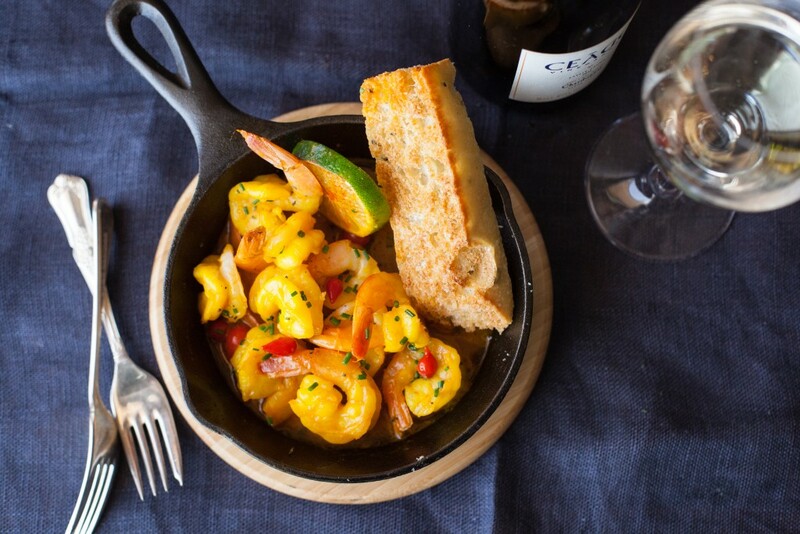 The menu features Deer Valley-inspired brick oven cuisine including fresh seafood skillets, seared meats, oven roasted fresh fish, locally sourced produce, seasonal flatbreads and specialty sides. A full bar, beer and wine are also available. 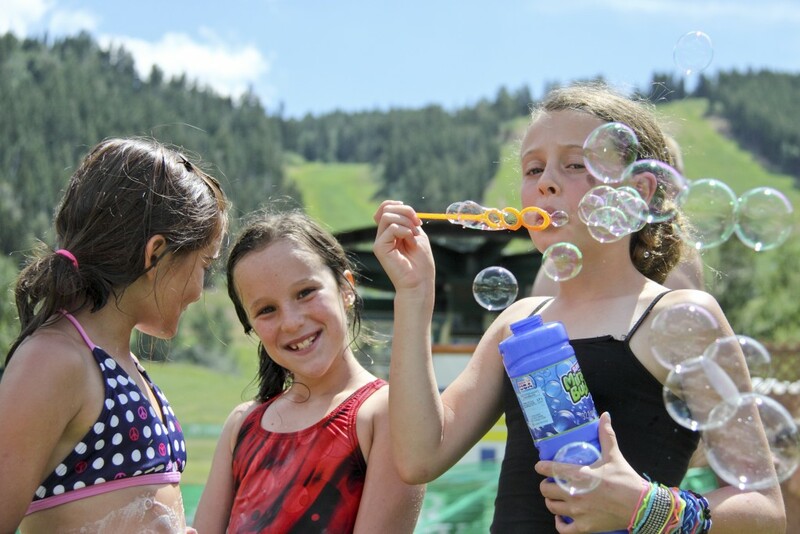 For Deer Valleys younger guests, ranging in age from 2 months to 12 years, the resorts Summer Adventure Camp offers creative activities that ensure campers have fun while learning and connecting with nature. Based out of the Childrens Center at Snow Park Lodge and running Monday through Friday June 8 through August 19, 2015 (no camp on July 3 or 24), Summer Adventure Camp features hiking, hillside playgrounds, indoor entertainment and performances, a bouldering rock-climbing wall and a full supply of craft projects, games, puzzles and more. Deer Valleys convenient location, just 36 miles from Salt Lake City International Airport, affords guests more time to enjoy their alpine retreat. Guests leaving either coast in the morning can be settled at the resort by early afternoon, ready for outdoor play or comfortable relaxation. 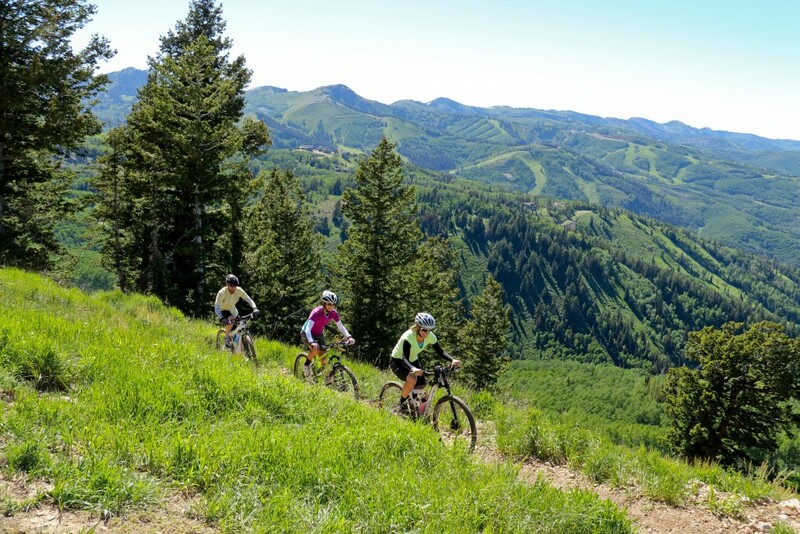 For more information on Deer Valleys summer mountain biking, hiking, scenic chairlift rides, outdoor concerts and dining operations, please visit the resort website. 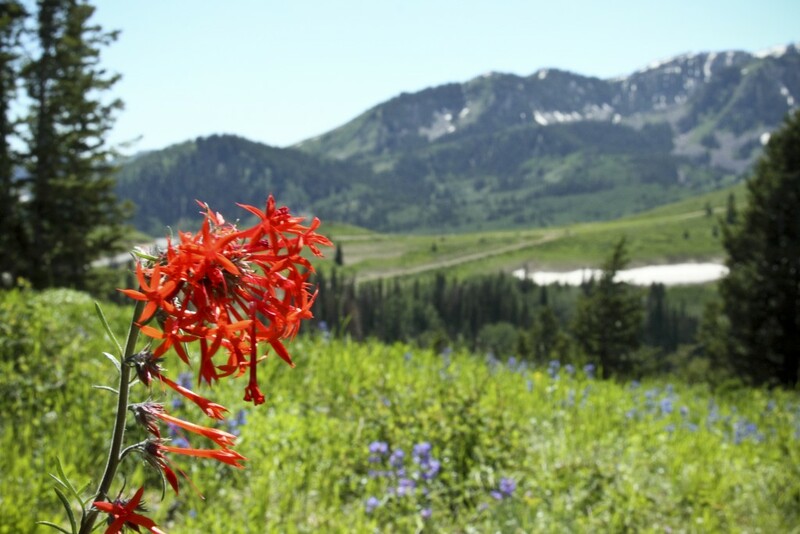 Posted in Uncategorized | 0 Responses to "The Official Blog of Deer Valley Resort"
When it comes to summer and family adventures, you shouldn't have to look outside the beautiful Beehive state. In fact, you may not have to look far at all, just point your eyes toward Flaming Gorge. Flaming Gorge is no stranger to summer fun and family memories; perhaps because it triples the county's population each year with summer visitors. Why? Well, the Green River plays host to excellent fishing, boating, camping and more  making it an outdoorsman's paradise. 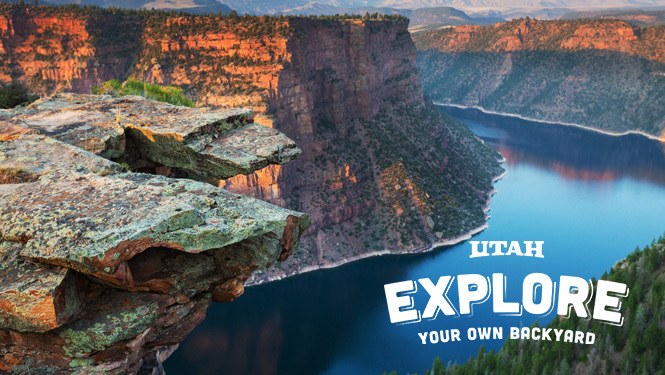 So get your gear ready and plan a trip because Flaming Gorge never looked so good. If you haven't floated the Green before, you haven't fully experienced Flaming Gorge. The Green River has spent thousands of years carving away thick canyon rock to establish itself as one of Utah's premiere rivers for rafting. You'll see the fish swimming beneath your raft in the crystal clear water. Not to mention the brilliant green cottonwoods and stately ponderosa pines lining the banks of the river. Rafting will never be the same after you embark on a self-guided, family adventure. If river rafting isn't your thing and you're looking for some other fun in Utah, checkout these adventures and activities all over the state. Visit Dinosaurland: Run where dinosaurs ran, in beautiful Dry Fork Canyon. Heber Valley: Experience one of North America's greatest Blue-Ribbon Trout streams. Castle Country: Something for everyone with ATVs, hiking, biking and more. Salt Lake: Aladdin and Almost Tango performances by Ballet West. Box Elder: Celebrate all things arts with Fine Arts Month. Bear Lake: Three golf courses offer spectacular views, challenging holes and reasonable green fees. Cedar City: Experience an ancient solar calendar based off the interpretations of the Parowan Gap Petroglyphs. Bryce Canyon: Take a drive on Utah's Scenic Byway 12. Moab: Enjoy the Moab Arts Festival with free admission. Kanab: Have some fun riding ATVs through Southern Utah's most beautiful trails. Canyon Country: A small town race with big race accomodations in beautiful red rock country. To learn more, see the camping opportunities and plan your Flaming Gorge adventure at visitflaminggorge.com. Posted in Uncategorized | 0 Responses to "Explore your own backyard: Floating the Green in Flaming Gorge"
Passing the final hurdle, Vail Resorts was granted approval by City Hall to establish a gondola, which when completed, will connect Park City Mountain Resort and Canyons Resort. The result will be the largest ski area in the United States. The City Hall vote was in unanimous support of Vails delivered proposal. In addition to the gondola Vails other 50 million dollars of proposed improvements were green lighted by the city. While the gondola is the most critical infrastructure aspect necessary to complete the combined resort, Vail listed several very necessary improvements that will improve skier experience. On-mountain dining, lodging, and other aspects were named as significant priorities. The gondola will carry eight-passengers and covers nearly 1.5 miles and terminates right at the base of one of our exclusive development listings, The Colony. This new super resort will allow skiers to explore most of the length of the Park City ridge line. Vail has brought a lot of excitement to our town and the ski industry in general this last year. Its a perfect moment for existing residents and interest buyers to discuss the implications of Vails thunderous arrival and bold plans on the real estate market. We also look forward to helping the town manage the growth that will surely resultwe feel strongly in both preserving the character of Park City and contributing to its evolution. Posted in Uncategorized | 0 Responses to "VAIL RESORTS INTERCONNECT GONDOLA APPROVED"
Wells Fargo has filed a lawsuit against a group of firms under the Talisker corporate umbrella and others seeking to foreclose on $163.8 million worth of loans and accrued interest linked to prominent properties like Tuhaye and the Talisker Club. The lawsuit, filed on Feb. 27 in 3rd District Court at Silver Summit, is the second spectacular case involving the Talisker corporate family after the highly contentious courtroom drama against the former owners of Park City Mountain Resort that ended with the sale of the resort. Wells Fargo names 14 defendants in the lawsuit. Some of them include Talisker Finance LLC, United Park City Mines Company, Tuhaye LLC, Tuhaye Golf, LLC and Empire Pass Club LLC. Talisker Land Holdings, LLC, the firm that tangled with the former PCMR owners, is also named as a defendant. Two entities under the umbrella of Stitching Mayflower were also named as defendants. The loans date to the fall of 2010, when Wells Fargo and Bank of Scotland reached agreements to provide the loans. A firm called Midtown Acquisitions, L.P. later acquired the Bank of Scotland's interest in the loans. According to the lawsuit, the loan agreement was modified four times between late 2011 and late summer 2014. Wells Fargo serves as the administrative agent for both lenders. When the loan was modified the second time, Talisker Finance LLC executed an updated promissory note, dated Dec. 20, 2013, with Wells Fargo. The promissory note's principal amount was a little less than $76.5 million, the lawsuit says. The same day, a promissory note with a principal amount of approximately $66.9 million was executed with Midtown Acquisitions, L.P., it says. Talisker Finance LLC was required to repay the loan by April 30, 2014, but the firm failed to do so, the lawsuit says, describing that the failure was a default event. On June 26, 2014, the sides reached an agreement that called for the lenders to not move against Talisker Finance LLC at that point and to continue to provide funding to the firm, according to the lawsuit. Talisker Finance LLC, though, was required to meet performance requirements centered on sales of real estate that was the collateral on the loans, it says. Talisker Finance LLC also said it would not contest a receiver being appointed in the case. A receiver would oversee the assets. The maturity date of the loan could have been pushed back to Nov. 30, 2014 under the condition that, by Aug. 29, 2014, a buyer signed a contract for all or portions of the real estate collateral, the lawsuit says. It says a deal would have needed to generate $25 million in proceeds by Sept. 30, 2014. The lawsuit says two firms under the Tuhaye moniker on Aug. 18, 2014 reached a deal to sell some of the real estate collateral to an unidentified purchaser. The sale, though, was at a price that would not generate enough proceeds, leading to more talks between Talisker Finance LLC and the lenders, the lawsuit says. The lenders agreed to allow the sale and to provide more funding for Talisker Finance LLC's expenses under the condition that the sale closed on Sept. 30, 2014 or earlier, it says, claiming that the sale did not close on the Sept. 30, 2014 schedule. Talisker Finance LLC then "failed to pay the Loan in full," the lawsuit says. There was a round of negotiations that did not result in another loan modification. The lenders have provided more than $7 million to fund Talisker Finance LLC's operations since April of 2014, the month when the firm was initially required to repay the loan, according to the lawsuit. The $163.8 million sought by Wells Fargo was calculated on Feb. 12. It includes the principal of the promissory notes and interest calculated during different periods. The lawsuit seeks the foreclosure and sheriff's sale of the real estate collateral, a judgment against Talisker Finance LLC for any sum of money owed after a sale and a judgment that the lenders are entitled to operate the Talisker Club, among other judgments. The real estate collateral includes lots and related amenities in Tuhaye, lots and related amenities in the Empire Pass subdivision of Red Cloud and undeveloped land in Summit County and Wasatch County, according to the filing. The collateral does not involve property comprising any portion of the three Park City-area mountain resorts. A Wells Fargo spokesperson on Thursday provided a prepared statement in response to a Park Record request for comment: "Wells Fargo has been working with the borrower for some time in hopes of achieving a resolution that would allow the borrower to remain as owner of the collateral and repay its loan obligations. Unfortunately, the loan remains in default. We have requested that the court appoint a receiver to assist with the operation and sale of the loan collateral. We will work with the receiver in this process and look forward to finding a long-term solution that takes into consideration the needs of the community." A representative of the Talisker corporate family did not immediately return a phone message seeking comment. Posted in Uncategorized | 0 Responses to "Wells Fargo initiates massive foreclosure case against Talisker"
City Hall staffers have determined that the proposed Park City Mountain Resort improvements planned by resort owner Vail Resorts are allowed under broad restrictions on the acreage that otherwise greatly limit the development potential of the land. The restrictions date to 2007 and were principally negotiated by City Hall, United Park City Mines and Talisker Land Holdings, LLC. Park City leaders at the time essentially allowed development rights attached to the land at PCMR to be transferred to the Empire Pass site where the Montage Deer Valley was eventually built. In doing so, Talisker Land Holdings, LLC agreed to set aside from development nearly all the land it owns at PCMR. Vail Resorts has started discussions with the Park City Planning Commission about a set of improvements planned at PCMR prior to the next ski season, most notably the Interconnect Gondola that will link PCMR and Canyons Resort into one property. The Colorado firm also wants to expand the Snow Hut restaurant and make other upgrades. The determination by City Hall staffers was made public in a memo to Mayor Jack Thomas and the Park City Council. It was written by City Attorney Mark Harrington and Heinrich Deters, who is the trails and open space program manager. The memo provides a brief background of the 2007 agreement, which granted City Hall what is known as a conservation deed restriction. Park City officials enforce the restriction. The land was also annexed into the Park City limits under a zoning classification that allows open space and recreational uses, the memo says. "At a high level, the purpose of the Deed Restriction is to prevent residential development, hotels and or lodging on the property and preserve the Conservation Values as open and generally undeveloped property in perpetuity, while preserving the lease rights of the operator of PCMR," the memo says. The conservation deed restriction, though, allows rights "associated with the continuation of the existing land use associated with the general development and operation of a ski resort and related amenities," according to the memo. The memo says the proposed improvements "are consistent" with development allowed by the restrictions. The memo was released shortly after the Planning Commission's first meeting about the Interconnect Gondola and the other improvements. The panel was not scheduled to vote and is anticipated to continue the discussions at a meeting on March 25. The Snyderville Basin Planning Commission in February approved the gondola section that will be located outside the municipal boundaries. Posted in Uncategorized | 0 Responses to "Interconnect Gondola allowed under restrictions on PCMR land"
While technically the only things you cant ski without are two planks and a hill, its also true that the sport is far more enjoyable when accompanied by boot-warming ski concierges, 24-hour room service, hot-spring-style whirlpools and après-ski massages at a lavish spa. These are just a few of the amenities that put North Americas three Forbes Travel Guide Five-Star ski resorts head and shoulders above other mountain properties. For the most luxurious downhill getaway anywhere, head to one of these elite ski-in/ski-out hotels that top our list of the continents best. View the full list of official 2015 Forbes Travel Guide Star Ratings here. The Little Nell Tucked between downtown Aspen and Aspen Mountain, The Little Nell has been the epitome of Colorado chic since opening in 1989. Its current Aspen modern aestheticthink cream, chocolate and blue palettes on leather chairs, velvet banquettes, recessed gas fireplaces and contemporary artcomes courtesy of celebrity (and part-time local) designer Holly Hunt, who reimagined the hotels guest rooms for its 20th anniversary. VIPs splurge on the Paepcke Suite; at 2,500 square feet, its the hotels largest, and the space is powered, right down to the heated marble flooring and walls, entirely by its own solar panels. Some of Aspens best dining options call the hotel home, from Five-Star Element 47 and its local, seasonal fare to après hot spot Ajax Tavern and its signature double cheeseburger with truffle fries. Four bars, including the Oasis, a pop-up champagne and caviar bar found somewhere (depending on the day) on Aspen Mountain each weekend, offer more options for warming up post-run. Youll need it after a long day that begins with The Little Nells exclusive, complimentary First Tracks program, which gives hotel guests access to the mountain before the gondola opens to the public. Insider access is the norm here; the hotel will also arrange for you to join the mountains groomer snowcat or ski patrol sweep on their morning and evening missions. No possible perk goes unturnedThe Little Nell is a place where even your four-legged sidekick gets his own personalized brass ID tag and puppy jet lag kit. Four Seasons Resort and Residences Jackson Hole Fresh off a room renovation in late 2014the first major transformation since the hotel opened in 2003Four Seasons Resort and Residences Jackson Hole is as luxe as ever, with new in-room technology and locally inspired décor to boot. The 124 rooms and suites offer the best of both worlds; youll enjoy only-in-Wyoming perks such as Cache Creek Apothecary bath products in an alpine meadow scent, but also the Four Seasons amenities you know and love, including the recently introduced, customizable Four Seasons Beds. Lying on your perfectly firm mattress topper while streaming music from your smartphone to your rooms TV, you may be tempted to hibernate herebut you have a Four-Star spa, Jackson Hole Mountain Resort and (only one mile away) Grand Teton National Park to explore. The hotels in-house ski-rental shop has everything you need for a day of downhill, cross-country or snowboarding, including a ski concierge to book your lessons or arrange an in-room boot fitting. Beyond the lifts (three chairlifts are accessible directly from Four Seasons), the resort provides access to an exhaustive list of winter activities, from heli-skiing to dog sledding to wildlife safaris, plus plenty of on-property allures. The hotels Westbank Grill and The Handle Bar, new two seasons ago, are both worthy restaurants for dinner. Westbank Grills roaring fire and mountain views are the perfect backdrop to its regional meat, game and fish dishes, while The Handle Bar serves elevated pub grub (Snake River Wagyu sirloin, cast-iron venison, salt-broiled bone marrow) in a mountain-modern space. Stop in for après to select a tipple from the extensive whiskey and beer menus, and toast to your Five-Star Jackson Hole vacation. Stein Eriksen Lodge Deer Valley Park Citys only Five-Star resort also holds the title of Worlds Best Ski Hotel from the 2014 World Ski Awards held in Austria this winter. All of the accolades make sense the moment you arrive at the property, where a soaring chalet entrance and heated walkways lead to guest rooms that are individually decorated to reflect the lodges mountain spirit, with exposed beams and stone fireplaces (there are more than 145 hearths onsite). The hotel, named after Olympic gold medalist Stein Eriksen, who won the slalom competition in his hometown of Oslo in 1952, is as renowned for its service as for its mid-mountain location and amenities, which include Five-Star The Spa at Stein Eriksen Lodge and Four-Star Glitretind Restaurant. At the latter, seasonal menus specialize in hearty local fare to fuel your adventures, so dig into succulent dishes such as roasted Utah lamb and Rocky Mountain elk. When its time to hit the slopes, Stein Eriksens ski valet service and ski locker room strip away the sports stresses; with boot warming, weather and trail conditions, and complimentary hot chocolate, youll stay toasty until you hop the adjacent Viking Lift. Non-skiers will find plenty to love here as well. In winter, horse-drawn sleigh rides depart nightly; come summer, fly-fishing, horseback riding and mountain biking are just a concierge call away. And though Stein Eriksen Lodge Deer Valley feels like a tucked-away secret, youre only five minutes from downtown Park City, reachable by the resorts complimentary shuttle, of course. Posted in Uncategorized | 0 Responses to "3 Most Luxurious Ski Resorts In North America"
MINNEAPOLIS, Minn. and PARK CITY, Utah, Jan. 27, 2015 /PRNewswire/ -- Varde Partners ("Varde") and Replay Resorts ("Replay") announced today that Replay has been selected to act as the master developer for its substantial land holdings in the Canyons Resort area. Varde is the managing member of TCFC Finance Co LLC ("TCFC"), which owns much of the land comprising the Canyons Ski Resort.The selection of Replay as master developer is an important step in TCFC's strategy to assemble a team of mountain resort industry leaders to plan and position the development land for the future. TCFC's selection of Replay follows its long-term lease agreement with Vail Resorts in May 2013 for the operation of Canyons Resort. Replay intends to work collaboratively with TCFC, Vail, and local stakeholders to ensure the real estate vision and master plan is cohesive with Vail's operating plans for Canyons and enhances the overall guest experience at the resort. "Replay Resorts brings a team to Canyons that is arguably the most experienced in the mountain resort development industry," said Tony Iannazzo, Managing Director of Varde. "Through the selection process it became clear that the Replay team understands the symbiotic relationship between mountain resort operations and real estate development." Brian Cejka, Chief Operating Officer of TCFC, said, "the Replay team's experience at ski resorts such as Whistler Blackcomb and others gives us confidence that Replay will be able to work closely with Vail and all stakeholders to develop a real estate vision and master plan that enriches the guest experience and brings together all that's great about Canyons." Replay also announced today that Gary Raymond, the former CEO of Intrawest Corporation's development group, and Connie Wynne, former Regional Vice President of Intrawest Placemaking, have joined Replay and will lead the master developer role at Canyons for Replay. Combined, they have overseen the acquisition, master planning, and development of over 25 resorts in the United States, Mexico, Canada, Europe, and New Zealand and have been responsible for developing more than 10,000 condo hotel units, 4,000 resort condominiums, and 1 million square feet of resort commercial space. "Over our careers we have spent a tremendous amount of time in the Utah market analyzing various mountain development opportunities," said Gary Raymond, Managing Director of Replay Resorts. "We believe the Park City area to be the best mountain resort opportunity in the world and Vail's recent announcement regarding the connection of Canyons to Park City Mountain Resort makes this the most exciting place to be in the ski industry. We look forward to working with TCFC and all stakeholders on developing the vision and master plan for the real estate at Canyons." "We couldn't be more pleased to have this opportunity," said Michael Coyle, CEO of Replay Resorts. "This role brings us back to our roots and leverages our team's history and expertise in developing some of the most iconic destination mountain resorts in the U.S., Canada and Europe. We believe this area is evolving to be the most sought after ski destination in North America and with easy proximity to an international airport, this is where the world will come to play." Replay will assume its role immediately and will report and act as an advisor to TCFC's management team and Executive Committee. Varde partners is a $9.0 billion global alternative investment firm that employs a credit-oriented, value-based approach to investing across a broad array of geographies, segments and asset types, including real estate, corporate credit, residential mortgages, specialty finance, transportation and infrastructure. Founded in 1993 Varde employs 200 people with offices in Minneapolis, London and Singapore. Replay Resorts is a fully integrated destination development company headquartered in Vancouver, B.C. Canada with a presence in the Continental United States, Hawaii, Mexico and the Caribbean. Replay's team of strategists, planners, designers, builders and operators develop and operate authentic, enduring places that, because of their strong appeal, become must-visit destinations for guests and potential real estate purchasers alike. Working with visionary private equity firms, landowners, municipalities, other developers and families with legacy holdings, Replay creates places that the marketplace thinks of first and likes best, which in turn enhances the market awareness and economics of the destination. Replay's leadership team is comprised of the former founder and key senior executives of Intrawest where they built one of the resort industry's greatest success stories. For more information visit www.replayresorts.com. TCFC is the master developer and primary property owner at Canyons Resort. In addition to the ongoing management of the Waldorf Astoria Park City, TCFC was instrumental in completing the Canyons Resort Golf course in the fall of 2014 and long term planning of the real estate development future of Canyons Resort. TCFC's holdings include over 4 million square feet of entitled density in and around the Canyons Resort area. Posted in Uncategorized | 0 Responses to "Varde and TCFC Select Replay Resorts as Master Developer for Canyons"
I was taking pictures of a new listing in Hotel Park City and here's what the Park City Country Club looked like at 9 am while standing on the balcony of number 205! 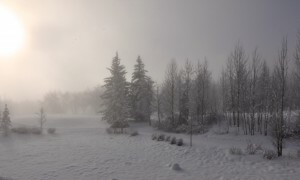 Posted in Park City Real Estate | 0 Responses to "Foggy Morning in Park City"